The last panel is one of Amelia’s contributions, and though it doesn’t happen often, the text there is exactly as she said it when she was telling me the story: “the dragon breathed fire and never died until the end.” It’s got that kid storytelling thing to it, where saying that a big bad guy doesn’t die while you’re fighting him is making the story exciting. I love it. Anyway. Poor Mr. Stocker. But really, if you’re going to be on a crime-fighting team, you have to divulge these things right away. they’re eating dinner that daddy has prepared. “Can you pick me up, Unca Tommy? I love stabbing people with major bodies of water. Leaves no evidence, it’s clean, refreshing, good for you and the environment… the Water Queen is modeled after my wife in her look, but in this scene she also resembles how thorough and thoughtful she is. Anyway, as I said last week… I’ll be at Comikaze Expo in Anaheim right at the beginning of November. You gotta come. 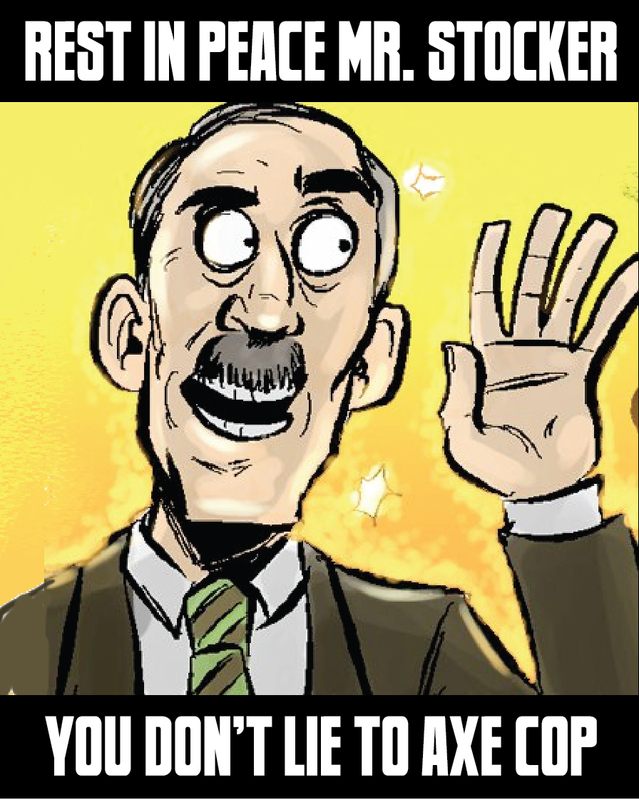 Also, for our next online Axe Cop story line I have a bit of a surprise for you. More on that soon. P.S. Hey, look it’s page 200! Yay for arbitrary milestones! When Malachai suggested this, I assumed “Ultro Power” was a real thing from a cartoon on TV. I tried to Google it and could not find it anywhere, so hopefully we are clear of copyright infringement. Super Hypno Monkey Bat Man is enough of a risk. Anyway, never underestimate the power of a good high five. 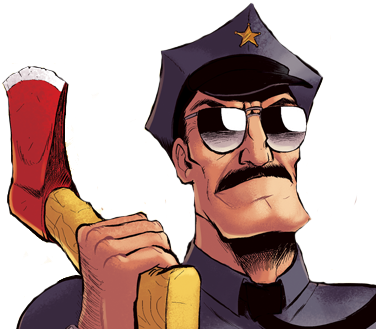 I got to see a couple episodes from the next season of Axe Cop and they’re awesome. I have to admit, these were episodes I did not get to be as involved with as I wanted to be, but I think they nailed it. The next season airs in November, so get ready!